2. 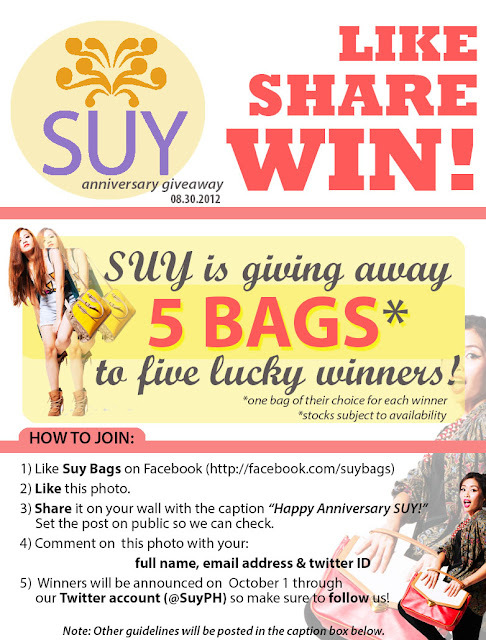 SUY Bags Anniversary Giveaway! Combined with DU Manille’s signature minimalism and modern silhouettes, the AW 2012 collection ‘HARD FLESH’ goes deeper and edgier with plays of contrasting textures and fabrics—from cotton to leather, jerseys and spikes—setting up the mood for those who are not afraid of taking chances when it comes to style. The brand also steps out with bright, bold prints and even pops of color. The collection has undertaken more ground, as DU Manille presents jackets, skirts, tights, and accessories, along with their basic tops, all of which still embody everyday comfort, wearability, and stylishness. DU Manille is also proud to present its first collaboration piece, “Beautiful Decay,” featuring Preview Magazine’s Merlito Pabatao to be launched on Sept. 30, 2012. The design is “a concoction of good and bad, light and dark. He or she is someone who has a malevolent façade, yet a vulnerable heart with a remarkable passion for art and music,” according to the artist, whose inspirations range from Vogue’s Grace Coddington and Christina Aguilera. The AW 2012 campaign also features PMAP model Ornusa Cadness, along with resident male model Daniel Marsh, both of whom were expertly styled by celebrity stylist, Xie Antonio, and photographed by DU Manille’s creative director Benjo Billones. 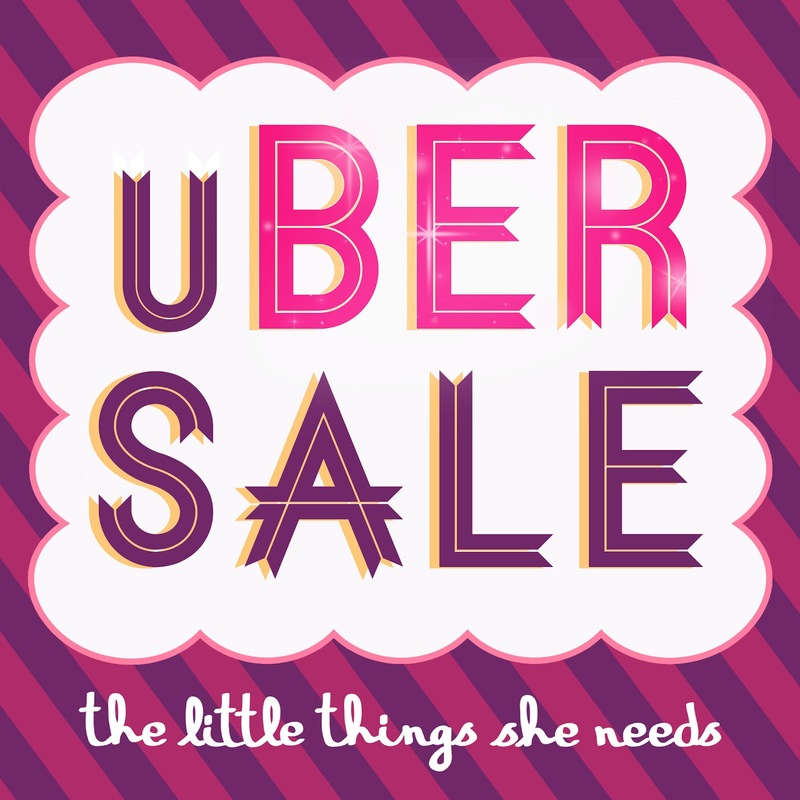 Watch out as DU Manille releases new items almost every week, with more designs and surprises awaiting. 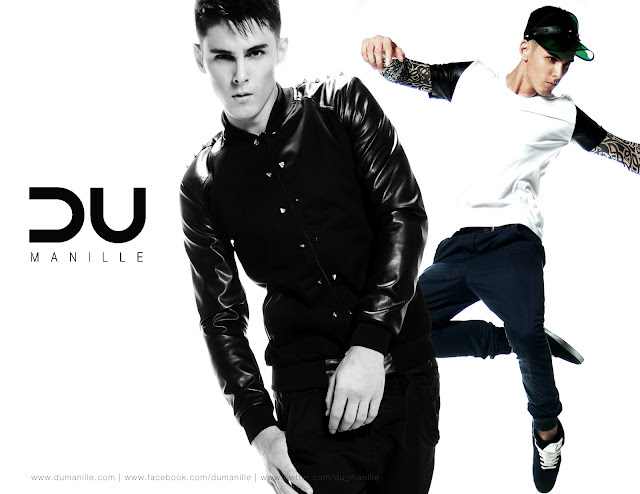 Again, we are inviting you to like our Facebook fan page (http://facebook.com/dumanille) and follow us on Twitter (http://twitter.com/du_manille) to view the latest collection. Please spread the word via your blog/ twitter/ facebook. Thank you very much! 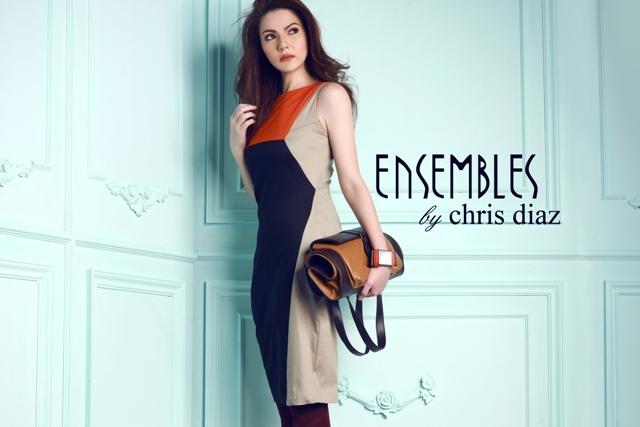 Ensembles by Chris Diaz Holiday 2012 collection boasts a perfect balance of wearability and artistry. The collection pays homage to Diaz’ design aesthete – lace. With Chris Diaz on board, romanticism takes center stage in the form of lace, soft fabrics and color blocking. This 17 piece collection includes standout dresses and blazers, flattering tops in chiffon and poplin, dresses and skirts all grounded in different treatments such as lovely laces, colorblocking and soft fabrics – representing a woman that is romantic and effortlessly chic. This 17 piece collection includes standout dresses and blazers, flattering tops in chiffon and poplin, dresses and skirts all grounded in different treatments such as lovely laces, colorblocking and soft fabrics – representing a woman that is romantic and effortlessly chic. Diaz understands what women want to wear and which elements can flatter the body. Ensembles and Carmina Villarroel are an epitome of empowered and fulfilled women. See the artistic interpretation of Chris Diaz with its Holiday 2012 capsule collection for Ensembles. For more information about Ensembles by Chris Diaz Young Designer Series Holiday 2012, please visit www.ensembles.com.ph. Like on facebook.com/EnsemblesOnline and follow on Twitter twitter.com/EnsemblesOnline, Pinterest pinterest.com/EnsemblesOnline and Instagram @EnsemblesOnline. Get ready to shop early for holiday fashion as collection will hit Ensembles stores in September! 6. Design Scholarships with SOFA via Design Para Sa Lahat on GMA TV! 1. Dream up your designs. Make sure to show us your best work. Edit well! 2. Prepare your SIX BEST DESIGNS. · Open to all residents of the Philippines (any location, from any region). 18yo+. Formally trained in Design o hindi, okay lang. LAHAT. Nothing to lose in trying, ‘di ba? · OK for students, working professionals, yuppies, parents, older hobbyists — LAHAT. *** For entries from Filipinos living abroad, just wait a bit for another one of our projects especially for all of you coming soon! · These micro-scholarships only cover the tuition cost for the workshops/courses. All other expenses in getting to SoFA’s address in Makati and expenses in staying in Manila for the duration of the course shall be shouldered by the student/designer. Each workshop is valued at Php 15,000. Nine designers will be awarded one course/workshop each. 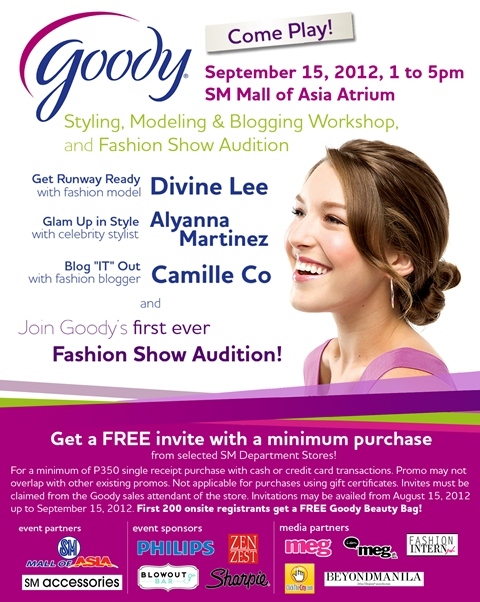 The Top Designer (1st of 10) will be awarded four courses/workshops, valued at Php 60,000. · These awarded courses/workshops should be taken on or before the end of December 31, 2014. · Once awarded, these micro-scholarships are not transferable. But if you really won’t be able to avail of the award yourself, please write us at tv@briantenoriomanila.com and we shall find ways to have that award given to someone else. · These awards are not convertible to cash. · Your set of SIX DESIGNS should only be one category of products (i.e. all shoe designs, or all furniture designs, etc.). If you want to enter another batch of designs from another category, upload on our FB Group wall another batch of six. For example, Jose designs shoes, jewelry, and also furniture. He wants to submit to all three categories. What he must do is upload 6 shoe designs in one go. Then on another upload, 6 jewelry designs. Then on another occasion, 6 furniture designs. BUT Jose, can not enter 12 shoes designs in 2 batches. Remember, only your BEST 6 designs per category. · Winners can choose which workshop/course from SoFA’s list of courses/workshops. For a list of courses available in SoFA please get in touch with them via the contact information on their website, www.sofamanila.com.